The Dane G. Hansen Foundation has awarded the Cosmosphere (Hutchinson, KS) a $50,000 grant to bring the science center’s outreach programs to rural schools in Northwest Kansas. Programs supported by the grant will serve students in grades K-12. Framingham State University (Framingham, MA) is one of 96 colleges and universities in the country to be recognized by by INSIGHT into Diversity, a higher education diversity magazine and website, for its efforts to support diversity and inclusion. The school received the Higher Education Excellence in Diversity, or HEED, Award. Framingham State has received the award three previous times beginning in 2014, more than any other public university in the state. Bank of America has donated $50,000 to the Reginald F. Lewis Museum of Maryland African American History & Culture (Baltimore, MD) and is the presenting sponsor of the upcoming exhibit, Romare Bearden: Visionary Artist. The Japanese American National Museum (Los Angeles, CA) has received grants to support two new projects that will culminate in Summer 2020. The National Park Service, through its Japanese American Confinement Sites (JACS) program, awarded the museum nearly $488,000 and the California Civil Liberties Public Education Program awarded the museum $30,000. The money will support the development and implementation of a virtual and augmented reality exhibition about a Nisei soldier killed in battle during World War II and another exhibition exploring the role of Boy Scouts and Girl Scouts in America’s concentration camps during the war. In addition, the museum received a bequest in excess of $525,000 from the estate of Setsuko Oka, a longtime museum member. The funds will go toward educational initiatives as well as exhibitions and programs focused on Japanese artistic and cultural heritage in the United States, through the soon-to-be-established Setsuko Oka Japanese Heritage Fund. The Children’s Museum of the Upstate will expand its STEAM outreach programming to benefit both teachers and students in the Greenville County Schools. The Denver Museum of Nature and Science will create two mobile museum experiences to engage underrepresented audiences in nature and science by going outside the museum’s physical location. The museum will fabricate an expandable vehicle similar to an RV and a smaller, pop-up truck. The Denver Museum of Nature & Science will implement a professional development plan for its cross-departmental data team to leverage insights from existing data sets and identify new data sources to support its mission, increase relevance, and better serve its community. The International Museum of the Horse will document and archive the history of African Americans in the horse industry and make it accessible through an online interactive website. The staff of the Abbe Museum will continue to decolonize its museum practice, informed by native Wabanaki people, and develop the Museum Decolonization Institute to share its process and understanding with others. The Burke Museum of Natural History and Culture will ensure the long-term care, conservation, and access to its ethnology textile collections by rehousing them in its new facility in a storage system that meets accepted professional standards. The Virginia Museum of Natural History will improve the care and accessibility of its Triassic and Paleozoic geologic rock core from the Virginia Piedmont by moving it to a new storage facility. The Durham Museum will improve intellectual and physical control over its collection in response to a series of recommendations from its participation in the Collections Assessment for Preservation (CAP) program. The Arizona State Museum will continue its ongoing work to stabilize its basketry collections which represent its highest institutional conservation priority. The Wisconsin Maritime Museum will develop a collections move and consolidation plan to evaluate space and facility requirements and the future composition of its collection. The Museum of History and Industry will increase staff cultural competency and provide clear objectives and accountability for moving forward as a more inclusive organization in order to build its capacity to serve the diverse communities of Seattle and King County. The Kentucky Historical Society will embark on a three-year project to reshape its institutional culture to prioritize diversity and inclusion in all facets of its work. The High Desert Museum will embed evaluative thinking into organizational practices by building staff competencies in evaluation. The project will include a mixture of skill building workshops and guided studies designed to build staff skills and confidence in evaluation processes. The Air Zoo will expand its ongoing program of diversity and inclusion training for its staff and volunteers. As one of 14 nationwide sites to be selected to participate in the W.K. Kellogg Foundation’s Truth, Racial Healing and Transformation initiative, the museum will continue its commitment to becoming a more culturally-competent, diverse, and inclusive community organization. The Rhode Island Historical Society will implement a comprehensive professional development program for its staff and volunteers to build their knowledge and practice in using dialogue facilitation with different audiences and improve their readiness to work on re-interpreting programming, exhibitions, and collections practices. Conner Prairie received a $70,000 grant from the Duke Energy Foundation to help support its goal of bringing interdisciplinary education directly to elementary-age students in Indiana. The grant will allow Conner Prairie to bring its unique approach of integrating history and STEM to classrooms through education programs inspired by its Create. Connect exhibit, which blends stories of Indiana history with science experimentation, problem-solving, and critical thinking. The new Prairie Mobile will travel to elementary schools in Duke Energy’s Indiana service area with the aim of inspiring curiosity and fostering learning through history and STEM-related education and hands-on activities. To study a large collection of artifacts and human remains that was excavated in New Mexico from sites that range in age from about 700 years old to 1,700 years old. To give back 222 funerary objects taken from tribes between the late 1880s, up until as late as the 1980s. Shark girls, genomes and zombies… oh my! It’s October in Affiliateland. 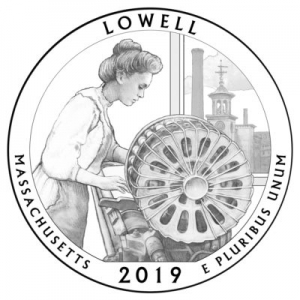 Mallory Warner, Museum Specialist from the National Museum of American History, will give a talk on women’s medical uniforms in World War I at the Connecticut Historical Society in Hartford, 10.11. LA Plaza de Cultura y Artes will host a workshop for teachers on Fostering Global Competence in the Classroom with the Smithsonian Center for Learning and Digital Access, in Los Angeles, 10.13. The Japanese American National Museum will also host Fostering Global Competence workshops for teachers in Los Angeles, 10.20. The Orange County Regional History Center opens the Genome: Unlocking Life’s Code exhibition produced by the National Museum of Natural History, in Orlando, 10.13. The South Florida Museum opens SITES’ A New Moon Rises exhibition in Bradenton, 10.20. 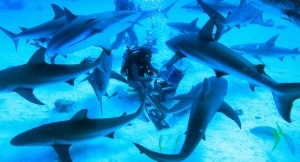 The Lyman Museum and Mission House will host a screening of Shark Girl from the Smithsonian Channel in Hilo, 10.15-16. The American Museum of Science and Energy is holding a grand opening event to welcome visitors to its new location, an 18,000-square-foot space with a newly-designed exhibit gallery featuring state-of-the-art interactive exhibits and hands-on activities, in Oak Ridge, 10.18. The Smithsonian Associates’ day-long study tour, 18th-Century Annapolis: Architecture and Decorative Arts, will visit the structures and gardens of Historic Annapolis, 10.19. The Works: Ohio Center for History, Art and Technology will host the Let’s Do History workshop for teachers in collaboration with the National Museum of American History, in Newark, 10.22-23. Five Affiliates will facilitate teens’ virtual participation in the Smithsonian Secretary’s Youth Advisory Council, kicking off in Washington, D.C., 10.24. Thanks to the Rockwell Museum (Corning, NY); the Arab American National Museum (Dearborn, MI); the Upcountry History Museum (Greenville, SC); the National Underground Railroad Freedom Center (Cincinnati, OH); and the Fort Worth Museum of Science and History (Fort Worth, TX) for your partnership. 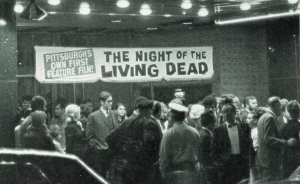 Curator Eric Jentsch from the National Museum of American History will discuss zombies in pop culture as part of Living Dead Meets Walking Dead at the Heinz History Center in Pittsburgh, 10.26.